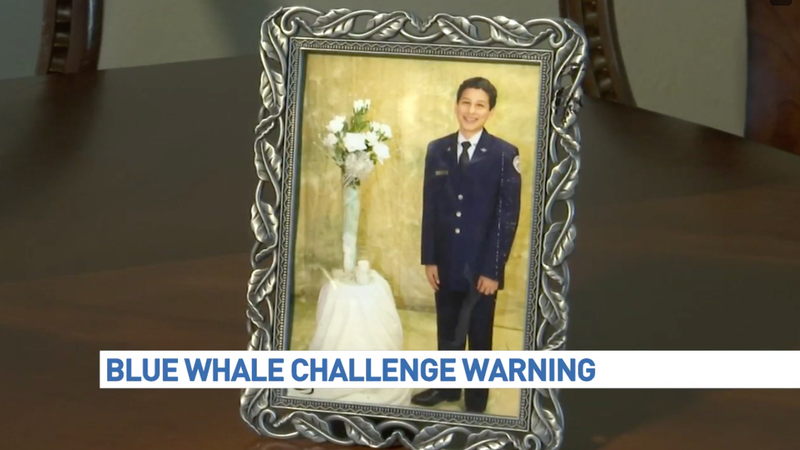 The parents of a Texas teenager who hanged himself are blaming a mysterious online game called the “Blue Whale Challenge,” which has been linked to suicides around the world with little evidence. 15-year-old Isaiah Gonzalez was found hanging in his bedroom closet on Saturday with a cellphone reportedly propped up nearby to record his death. His family says in the days following they realized via social media and messages to his friends that this challenge may have been the reason Gonzalez committed suicide. A report from the San Antonio Police Department on Gonzalez’s death does not mention the challenge. “It talks about satanic stuff and stuff like that and my son was never into that,” Gonzalez’s father told a San Antonio TV station. Earlier this week the parents of another teenager who committed suicide, an unnamed 16-year-old girl from Georgia, cited the game as the reason for her death. The game in question is allegedly a set of tasks to complete over 50 days, the last of which is suicide. But is the Blue Whale Challenge, if it even exists, really driving teenagers to suicide? Frankly it’s scary that, when presented with the suicide of a teenager, people are quick to believe a fake news story even though studies have shown children with mental health issues are not receiving the adequate services they need. Last year a report from the National Center for Health Statistics revealed suicide rates were rising, particularly in girls aged 10-14. Until this week there have been no allegations in the United States connecting deaths to the game, but some schools have already been warning parents about it.